I won! 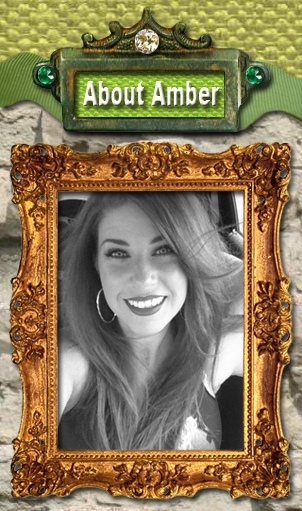 I won! AND I received additional free gifts! 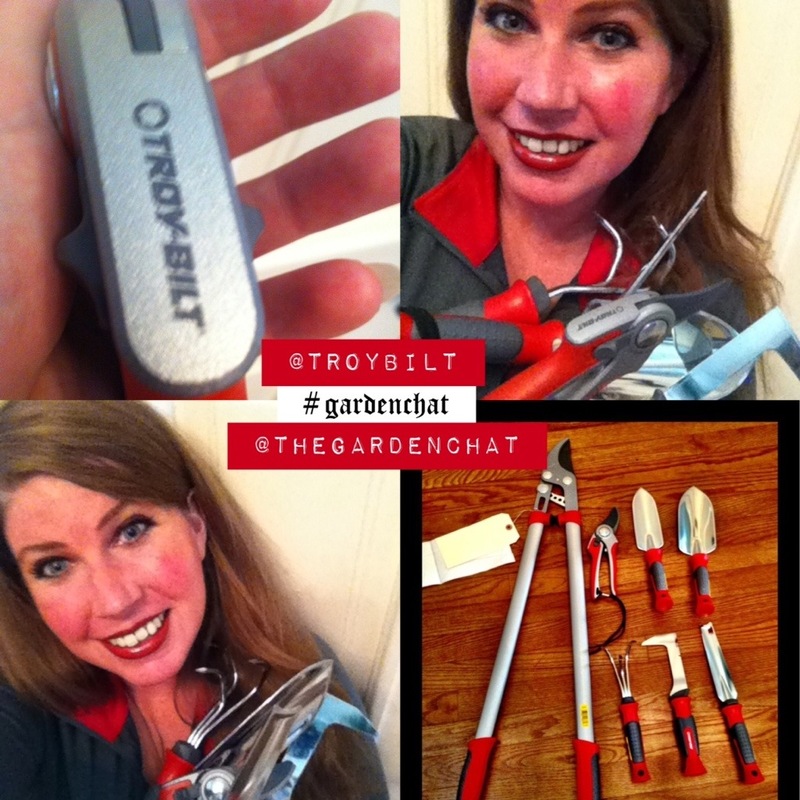 On August 12th, 2013, the twitter chat forum, #gardenchat, was hosted by @TroyBilt and there were a few easy rules to follow for a chance to win. I heard via other tweeters that the prize being offered was a pair of pruners and loppers! 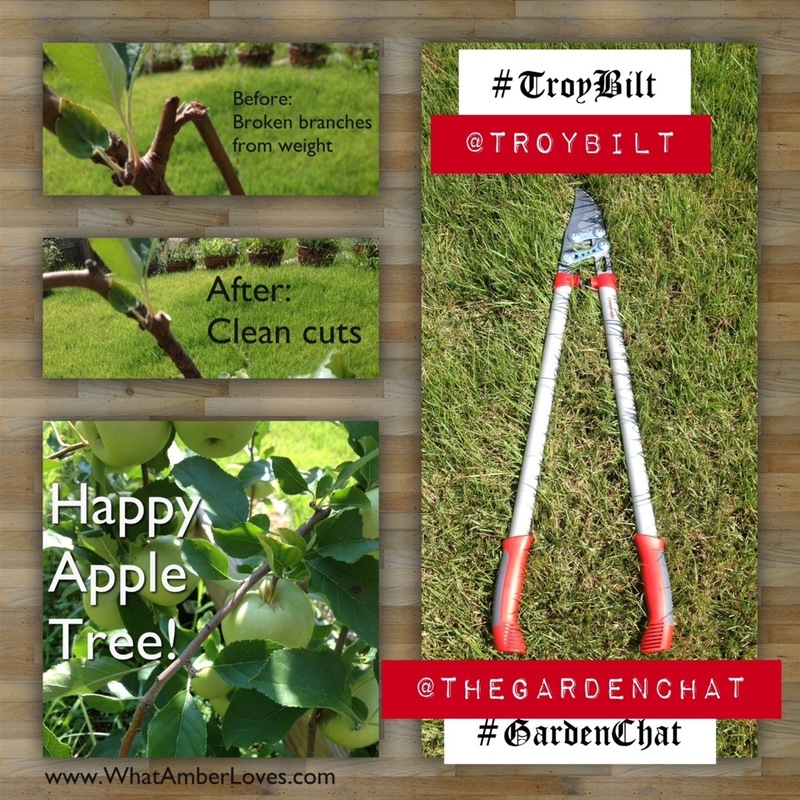 Needing a new pair of pruners and loppers and having always heard great things about TroyBilt products, I was eager to participate! The question that began the #gardenchat and entered participants for a chance to win: “What do you love most about summer gardening?” Me: “I love the garden to table experience!” Then, there were several questions that focused on specific topics, one of which was about deadheading flowers, to which I responded, “A4: I never deadhead flowers from my Rosemary hedge, here in zone 7, and it thrives as an evergreen. I prune for kabob skewers!” It is a true answer. You’ve seen my post about Chicken Kabobs on Rosemary Branches? Love! The next day, I was notified that I’d been chosen at random as the winner by Bren of BGgarden.com and @BG_Garden, the admin and number1 fan of #gardenchat and @TheGardenChat. A few days later, I received two big boxes! TroyBilt sent the fabulous pair of bypass pruners and bypass loppers from the contest, and to my total surprise, they also sent additional tools, including: weeding knife, hand cultivator, flower trowel, planting trowel, and weeding blade! I cannot say enough good things about the tools I received! They are wonderful!! Beyond having sharp blades and sturdy construction, they are so comfortable to use and look great! The grips on the tools feel great in my hand, and the angle of the handles is just perfect! I’ve been working in my garden everyday since receiving the new tools! 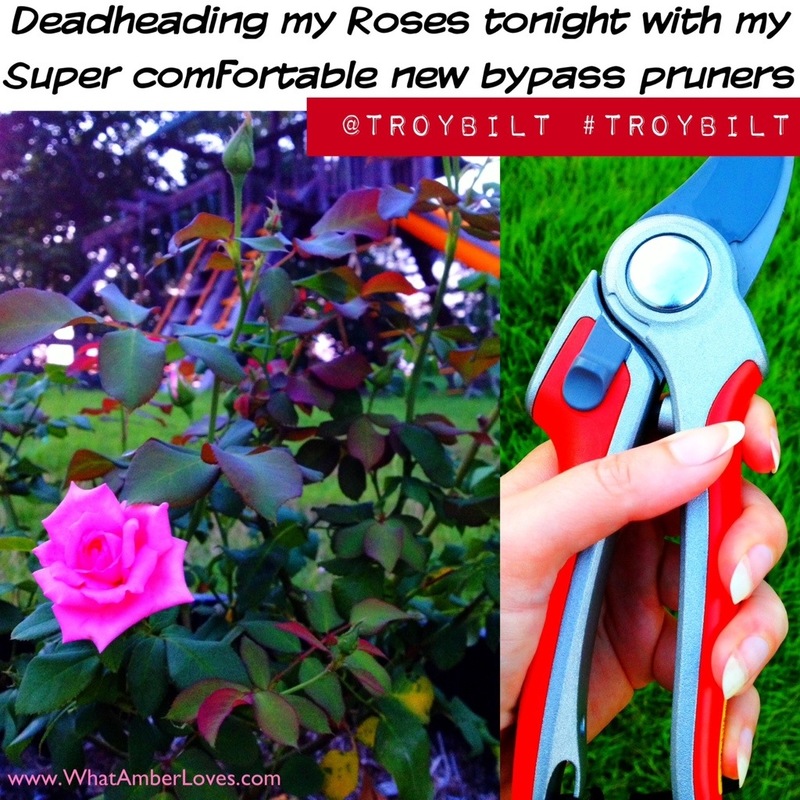 Here, (^), you can see how happy my roses are after deadheading with my new TroyBilt bypass pruners! I wish I’d of thought to get a “before” photo of the roses, but I’ll certainly show you how it will have a new flush of blooms, later, as they continue to perform! As I’ve become more familiar with Twitter, I’ve discovered just how wonderful and supportive the #gardenchat community is with eachother It is such a great group of gardeners! . . . so eager to share eachothers’ pretty pictures and bounce around ideas! 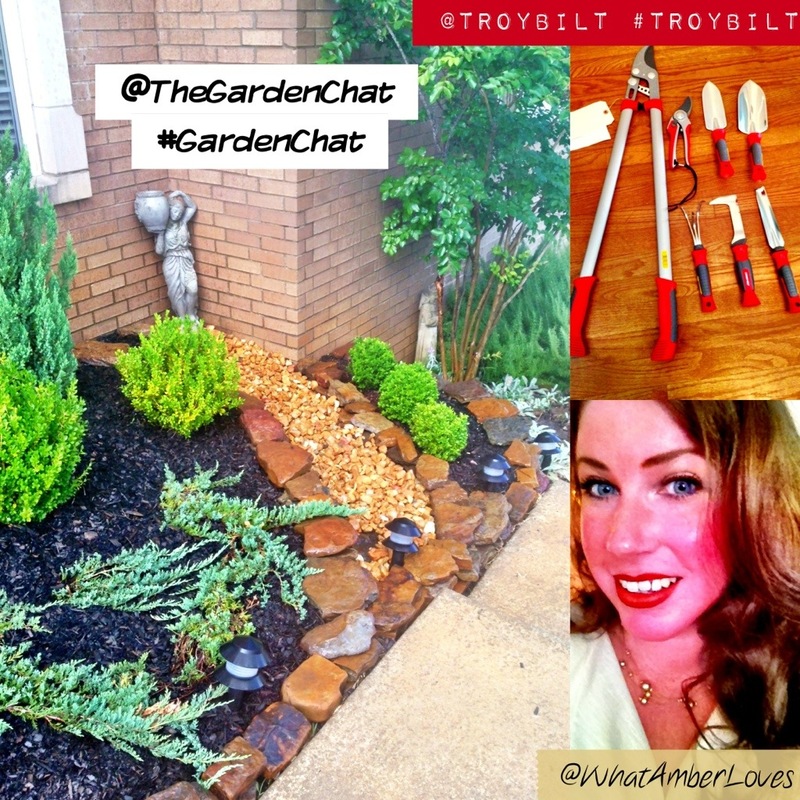 You’ll definitely see my new TroyBilt tools continue to appear in my photos and gardening posts! In this new age, word of mouth marketing matters when you trust the source, and I assure you, I am SO PLEASED with my TroyBilt tools! I highly recommend TroyBilt to help you meet your gardening needs! I believe you’ll appreciate the quality as much as I do!! Love!! Later ‘gators and afterwhile crocodiles!